That was me for far too long, so I decided to do something about it. I had an idea for a podcast that I liked, but I wasn’t sure if anyone else would. Inspired by the concept of building a minimum viable product, I decided to show my work and test the idea with real, actual people. Here is the idea in a nutshell. Leisure Club is a fictional podcast set in a local, erm, leisure club. It’s narrated by a somewhat irritable communications officer, who reports a mixture of mundane and slightly sinister news and nonsense. Episodes last no more than 10 minutes. There are recurring characters and ongoing storylines. It features darkness, warmth and silly jokes. Watch out Ira Glass. I’m coming to get you. The idea came about when I tried a little free writing on my lunch break. I started with a sentence and went with the flow. I wrote two or three paragraphs and thought that they were slightly silly in a way that I sort of liked. I wrote some more later that week then pecked at it in spare moments over the next few months. I don’t remember why, but I ended up mentioning the idea on the Write for Your Life podcast. No details, just that I’d written something a little different and that I thought it might work as a fictional podcast. I decided to work what I’d got into a cohesive script, record the audio quickly and find some suitable sound effects to give it some background noise. I went with a looped sound of children playing in a swimming pool. With a rough first cut, I decided to share my work with a handful of family and friends. The feedback was generally good. Everyone said they’d laughed in the right places and most thought it could work well in the format. The consensus also said that episodes should be shorter, tighter and have more varied background sounds. So, pretty good, right? I was certainly pleased, but with an already busy schedule and a novel to work on, I ended up putting the project on the back-burner again. To make those kinds of changes, especially the added sounds, would take time. That was the one thing I didn’t have, especially to spend on a project that could come to nothing. One of the most difficult things about having limited time for non-actual-job projects is knowing how to spend it. In a commitment-free world, I’d have invested my time and energy, launched Leisure Club and waited to see what happened. However, with children to work around and a full-time job, that notion felt like a luxury. But, but, but… what if? My interest in the project was reignited when the Write for Your Life podcast came to an end, which also coincided with me starting a new job at Yoomee. Was the idea of a fictional podcast set in a leisure club really such an unusual, unmarketable idea? There are some great fictional podcasts out there that have taken a specific, narrow idea and had great success. There’s Welcome to Night Vale, of course, but also Hello From the Magic Tavern, which I love. What if there was an audience for Leisure Club? In fact, what if there were enough people – and there need not be many – who would not only enjoy listening, but be willing to support the project financially through Patreon? I have a need to make money. Family. Security. But also because it’s very difficult to make a living out of writing literary fiction. Stories about people and everyday life don’t tend to sell in their millions. It does happen, but not very often. I’m not going to self-publish my novels, but perhaps I could experiment to try and make income from my other fiction without having an impact on my longer work. Patreon is great for this. I could see scope for Leisure Club rewards, like deleted scenes, original scripts and listener-suggested characters. And there would be plenty of ways to expand the Leisure Club world via a fictional Twitter feed, Facebook page or website. As you can probably tell, I found myself thinking about Leisure Club a lot. I’d been writing new material too, whenever an idea came to me. It was time for a second opinion. Building a minimum viable product is a strategy for avoiding the development of products that customers do not want. The idea is to rapidly build a minimum set of features that is enough to deploy the product and test key assumptions about customers’ interactions with the product. In my day job at Yoomee, I’d been getting used to the idea of building an MVP and it had got me thinking about writing fiction. It takes so long to plan, structure and write a short story, let alone a novel or, in this case, a script for a fictional podcast. More often than not, those projects stall or end up beneath a pile of rejection letters. Why don’t we test our ideas earlier? Not with friends and family or even a handful of beta readers, but with real people? Instead of dilly-dallying any further, I started thinking about what an MVP (with the P now for podcast) might sound like for Leisure Club. What was the minimum I could put together that would allow me to test the viability of the idea? Not much, I reasoned. In just a couple of hours, I rewrote the original script into something shorter and tighter, rerecorded the narration and replaced the background noise with looped music. After more than a year of tinkering, my minimum viable podcast was assembled in no time at all. And here it is. You can read what people made of it below, but feel free to stop and listen now if you want to form your own opinion first. I needed volunteer listeners, so I decided to ask my trusty newsletter subscribers. They’re a good mix of know-who-I-am and no-vested-interest. They are also the people most likely to pay for something I’ve written. But what feedback did I want? How should they send it? In my excitement, I almost forgot to think about these questions, but I’m very pleased that I did. Because rather than send out an MP3 and ask volunteers to email me their thoughts, I put together a very short survey using the excellent Typeform. It meant that the feedback I received was specific and far more helpful than it might have been. It also allowed my kind participants to focus their thoughts and not worry about writing an essay. It was better for me, better for them. And before I show you the results, it’s worth noting that 20 people signed up to take part, but only 12 actually completed the survey. The paranoid writer in me assumes that the other eight hated what they heard. But they could have just been busy. I’ll never know. My first question wasn’t really a question. I simply presented a five-star rating system and asked them to be honest. Here’s how it went. Next I asked if they would be likely to subscribe and listen to the show. A pretty impressive 83% said that they would. I’d had that previous feedback saying the episode was too long, so I asked if this new version seemed like about the right duration. Again, a pretty encouraging 75% said yes. Finally, I broached the thorny topic of paying cold hard cash to support the show should it become a real project. A surprising 42% of people who responded said that they would. So with bare statistics alone, you’d think that this minimum viable podcast was a success, right? I should have rushed to my microphone to get started. But something held me back. Although those percentages were high on the last three questions, the 3.42 overall rating bothered me. It’s not terrible, especially for something so rough around the edges, but what was stopping my very kind volunteer listeners from scoring it more highly? Thankfully, I gave them the chance to provide more feedback, if they had any. Let me share some of that now, starting with the positives. And I have to say, a couple of volunteers were not shy with their criticism either. As with all negative feedback, it was tough to hear and occasionally rather brutal. However, it was also very important for me to know that perhaps this project wouldn’t be for everyone. In between all this, my volunteers made a number of suggestions about how the show could be better. They were really fascinating to read and a couple of things kept coming up that, deep down, I think I already knew. Here is a selection of those comments. The upshot is that many people said that they would support it, listen to it and that’s great. But also, no one gave it five stars. Most people said that it needed changes that I knew would make it more complex and time consuming to produce. 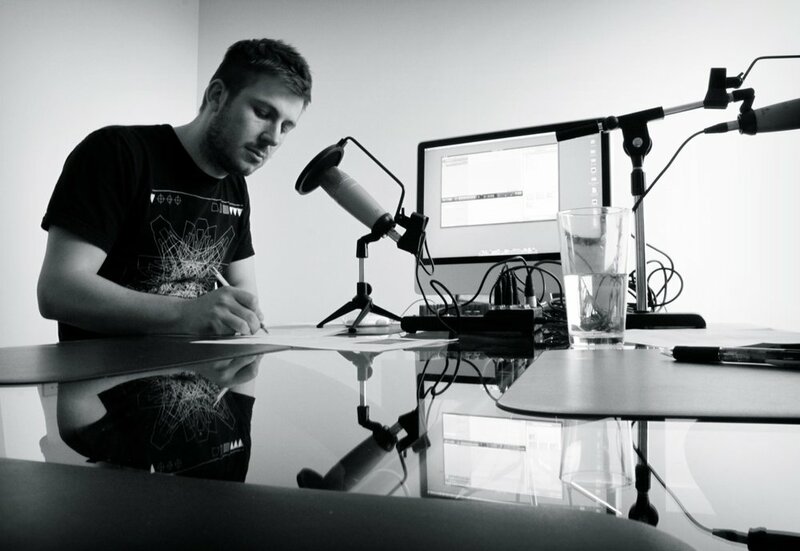 It’s a few months since I created and collected feedback on my minimum viable podcast. It was an incredibly useful exercise and I’m glad I exposed my work to a potential audience at an early stage. As an interesting learning experience, I recommend it to any writer. What do I do with Leisure Club now? At first, I thought the answer was nothing at all. And that still may be the case, but I am also tempted to follow my volunteers’ advice and record a season, put it out into the world and see what happens. In reality, I think that creating a minimum viable podcast taught me two things. First, that as with all writing projects, I wouldn’t be able to wing it and get away with it. To make Leisure Club worth doing, I would have to invest time in its production that I don’t necessarily have. The second thing I’ve perhaps learned is that people do like my writing and are willing to support me. I was pretty surprised and delighted that so many of my volunteers said they would consider giving me their cold hard cash. That’s an amazing thing to find out, even if Leisure Club might not be the right project for that at the moment. For now, Leisure Club is returned to the back burner and that feels right. I could have just gone for it. I could have stopped working on my novel and focused on this to try and turn it into a part-time living. But I didn’t. I showed my work, learnt a lot and I think I’ve saved myself a lot of time and energy.